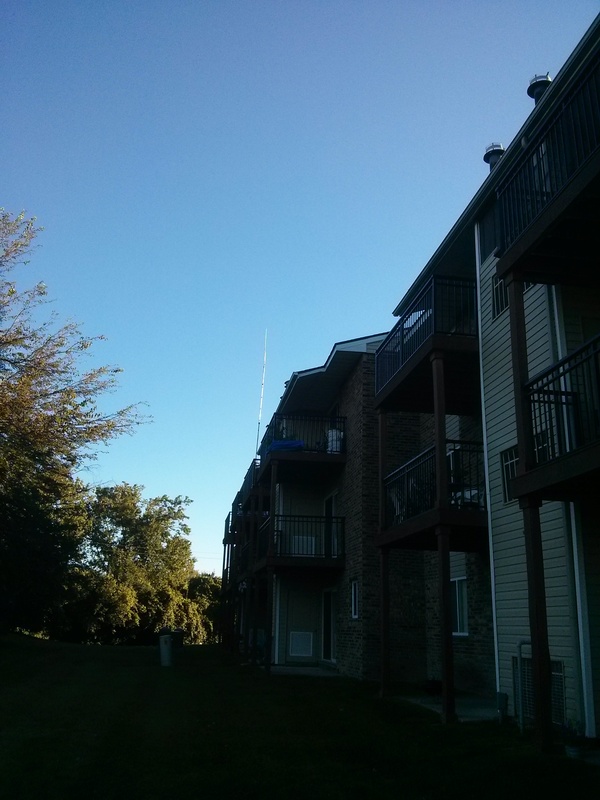 I guess I have put this off for quite some time now and finally decided that I need to setup an antenna in my balcony before the winter sets in. My plan was to have at least VHF/UHF capability for RACES and other emergency purposes. While looking for options, I came across the KB9VBR J-Pole antenna. The 2M breakaway J-Pole antenna for $37 felt like it was worth the money and can get me on the air quickly if I could figure out how to set it up and run the coax into my apartment from the balcony. The antenna arrived rather quickly and in the meanwhile I looked around to find the most conspicuous way to mount the antenna so that it does not bother the neighbors. I initially thought that I would be able to mount it on a hard PVC pipe which is 18ft high so that it would clear my roof and headed to Home Depot and quickly realized that was a bad idea. While I was there, I saw the Mr. Longarm adjustable 23ft fiberglass painter’s pole which looked like it would do the job. I came back home and did some research and decided that it was the best option I have and bought Mr. Longarm a few days later. 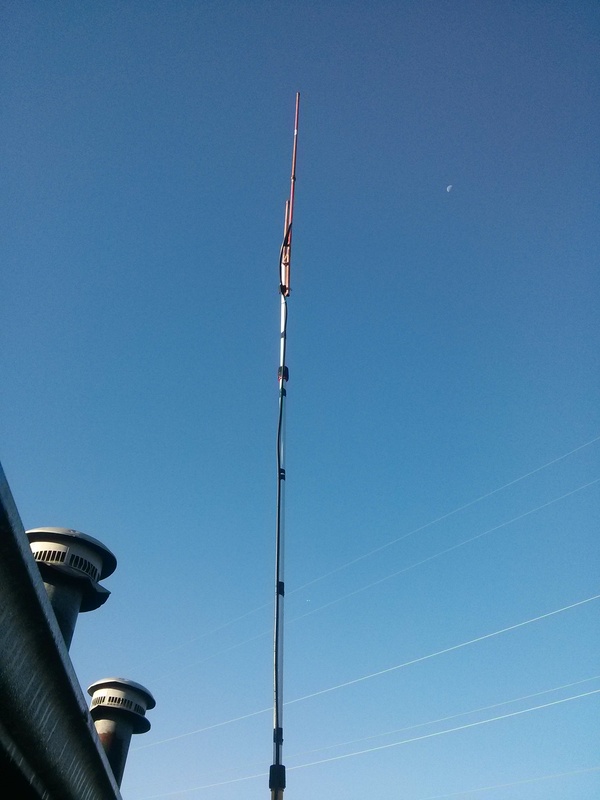 I mounted the J-Pole using pipe clamps to the mast and used 50ft of RG-213 ultra low loss cable that I ordered from BUXCOMM for $50 with connectors. The mast was then secured to the balcony railing using 2 additional pipe clamps. To keep the mast sturdy, I extended the pole to only 18ft but still the mast was not strong enough to sustain wind gusts and would shake violently and this is a chance I decided to take. To run the RG-213 coax into the house, I drilled a hole into the wooden panel of the air conditioning room door which is part of the balcony and routed the cable along with the TV coax. With everything setup and the coax connected to the FT-2900R I was able to hit repeaters more than 100 miles away in Canada.